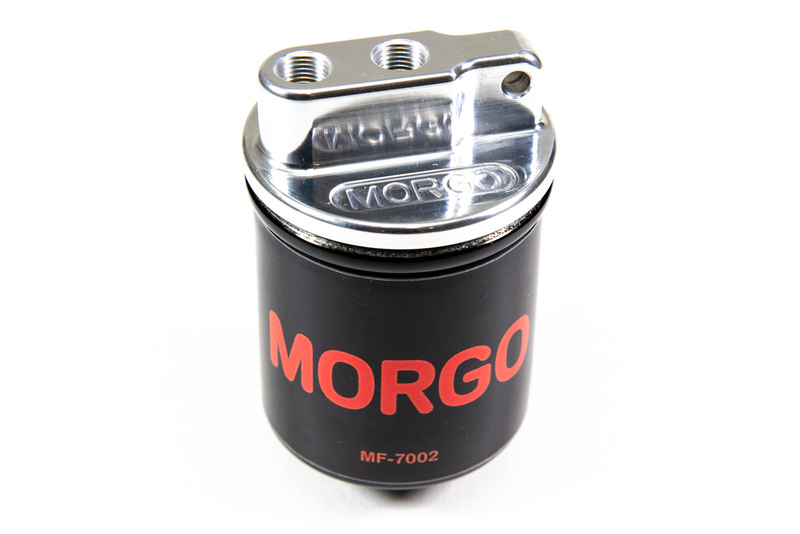 The Morgo remote oil filter is a compact high performance unit designed so it can be tucked away and with a weight of just 275 grams its not going to slow you down on the track. 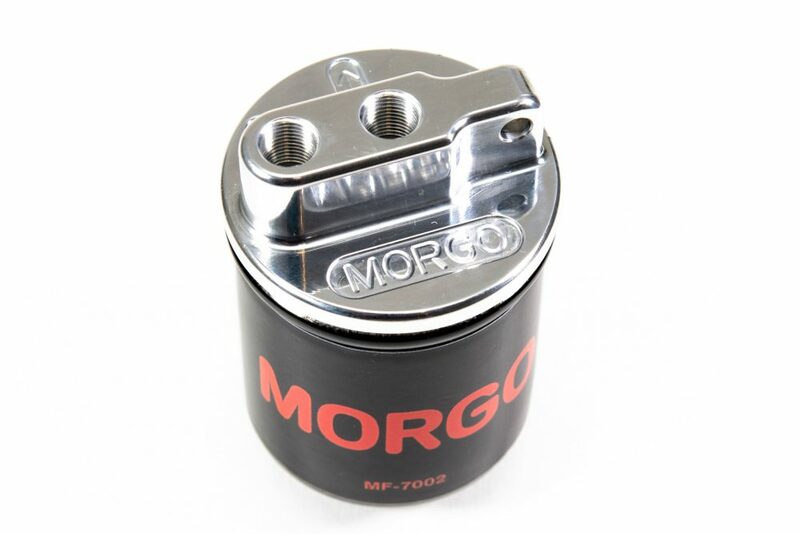 The top face input and output ports make the unit very compact and with a range of different fittings available connection into most existing return lines should be easy to perform. 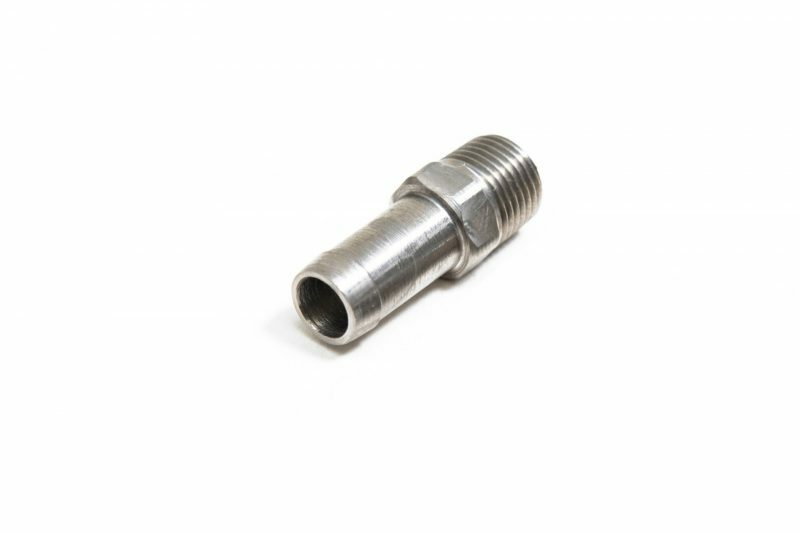 Billet machined from aircraft quality alloy the body and stainless steel fittings are all polished, measuring just 56mm (2 1/4″) diameter and 92mm (3 5/8″) long with a selection of fixing brackets and pipe fittings it should be easy to fit to any application. 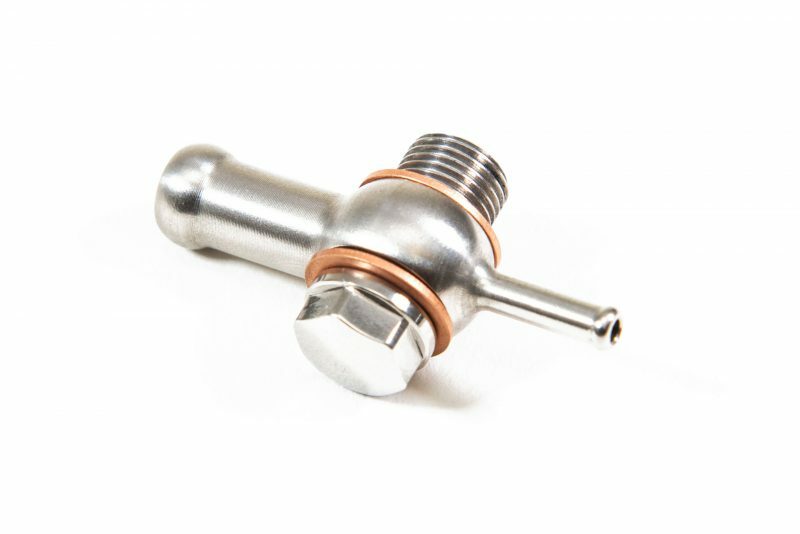 The filter comes with a mounting bracket and 2 rat tail fittings ( available in 1/4″, 5/16″,3/8″ or 1/2″) as standard. Please state which size you require when ordering. Readily available replacement screw on filter. 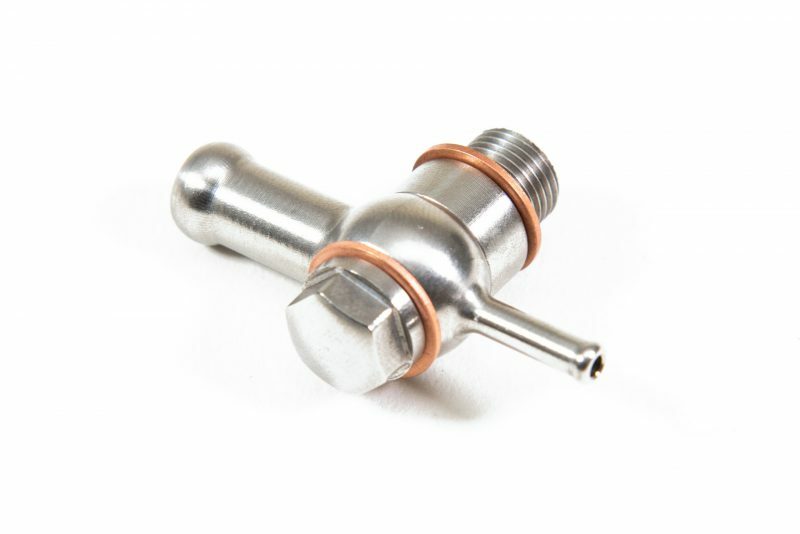 This filter should only be used on a pressure feed, on classic bikes this would be on the return line or on the pressure output side of the pump.